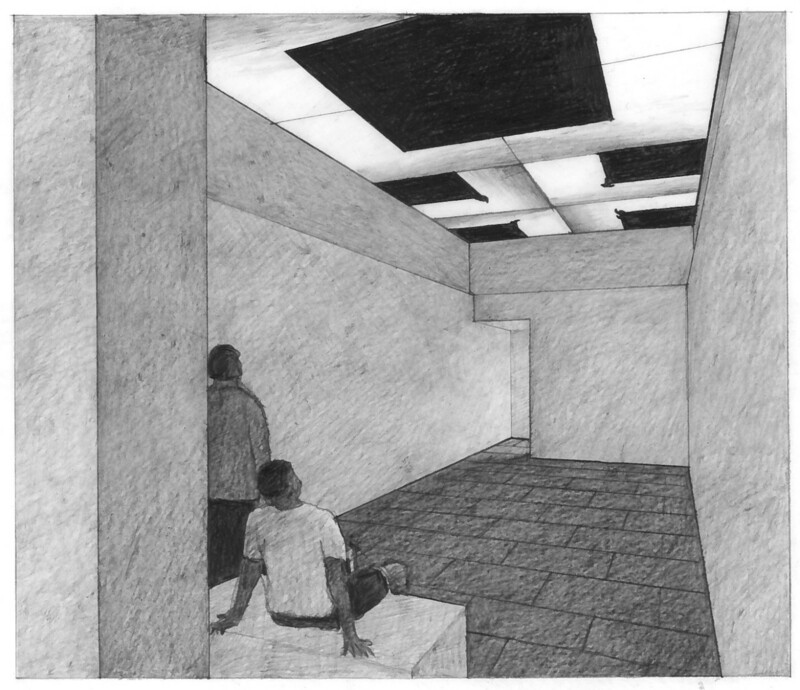 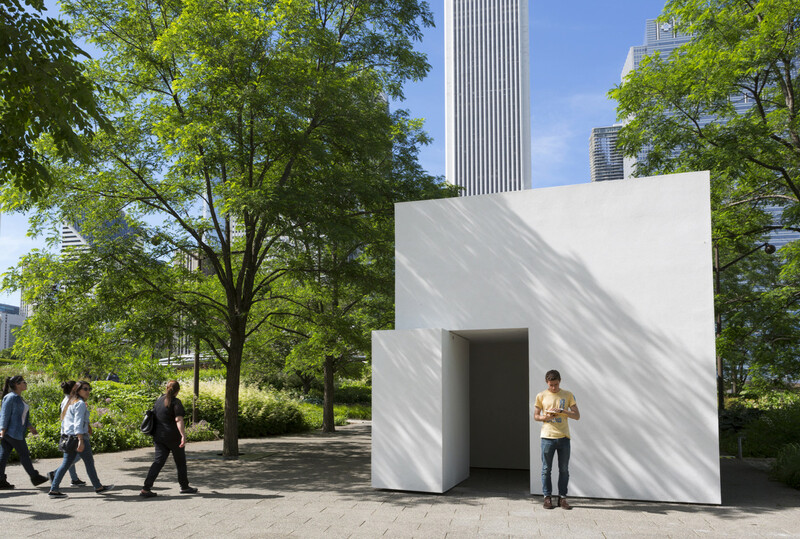 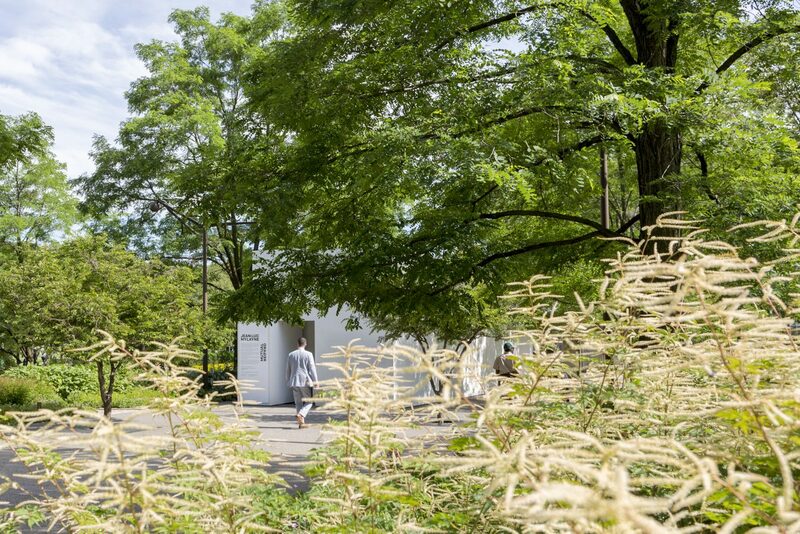 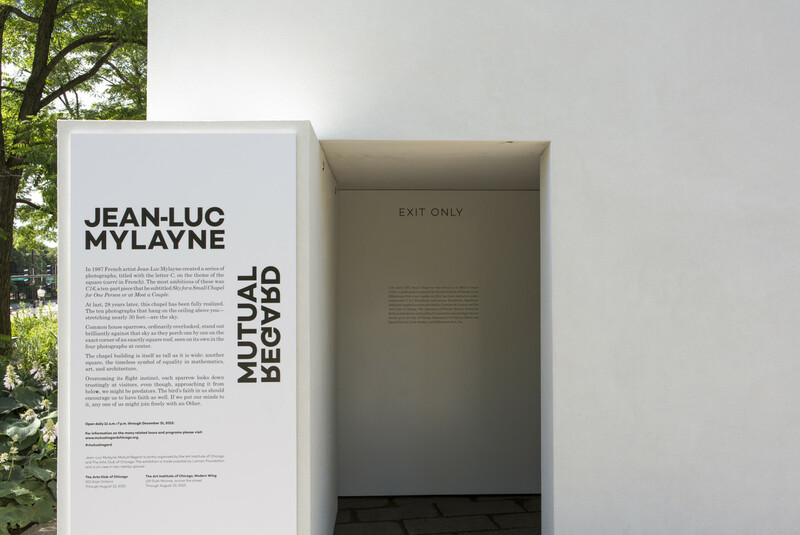 In a rare collaboration, The Arts Club of Chicago and the Art Institute of Chicago commissioned the design and construction of a temporary art pavilion to exhibit concurrently with the inaugural Chicago Architecture Biennial. 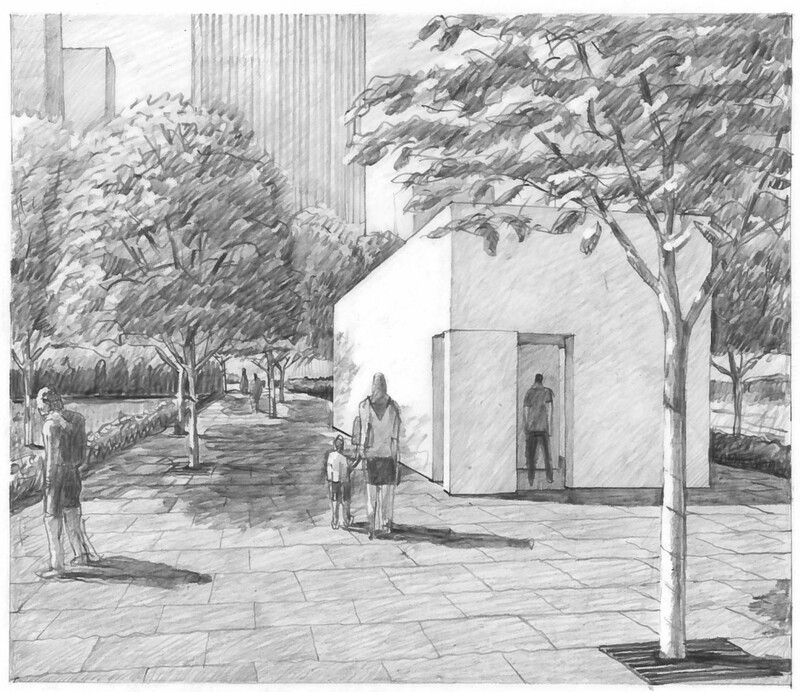 The “Mylayne Pavilion” sat at the southeast corner of Lurie Garden in Chicago’s Millennium Park, operating from April-October 2015. 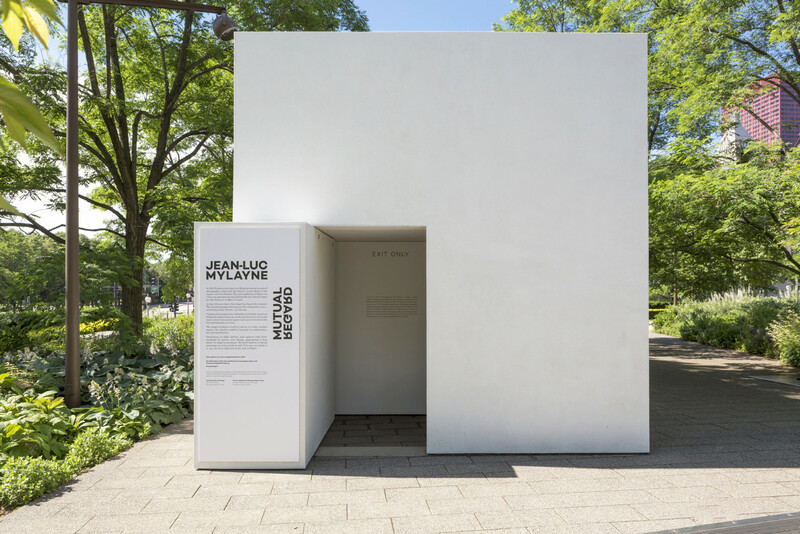 The small structure achieved a long-time goal for famed French photographers Jean-Luc and Mylene Mylayne to house the work No# C 16, Avril 1987 in its own “chapel.” The installation also coincided with the most extensive exhibition of the photographers’ work to date, with concurrent shows at both institutions. 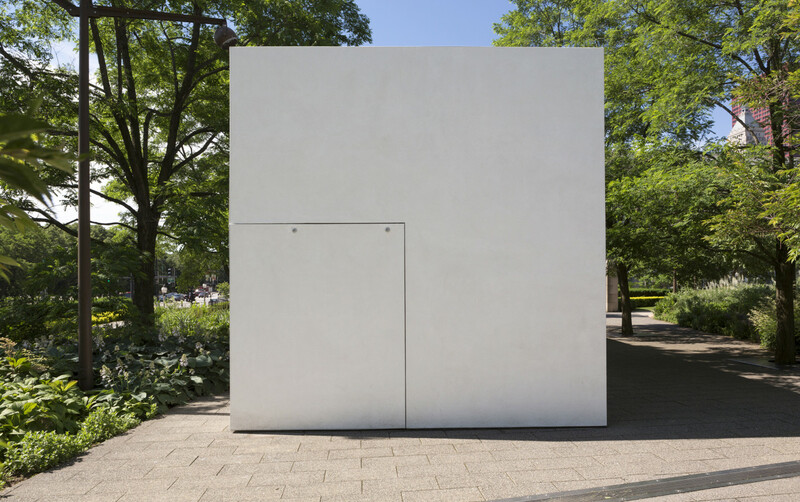 Each morning, the opaque, plaster mass opened on opposing ends via two thick L-shaped doors. 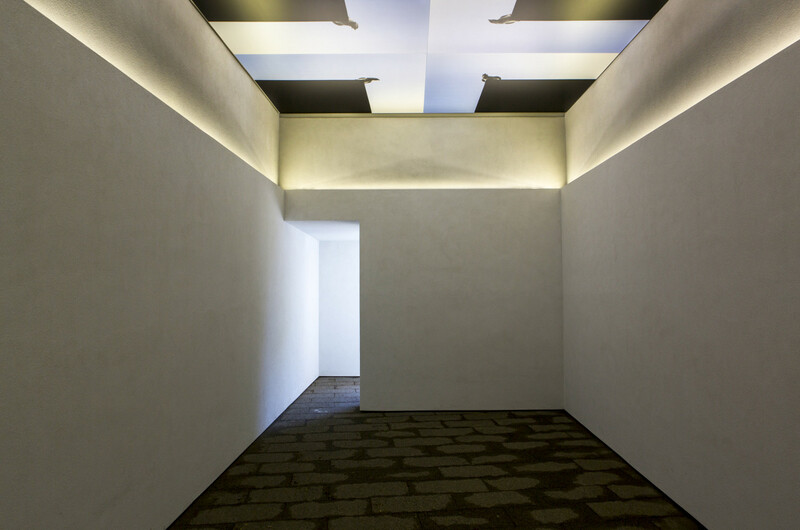 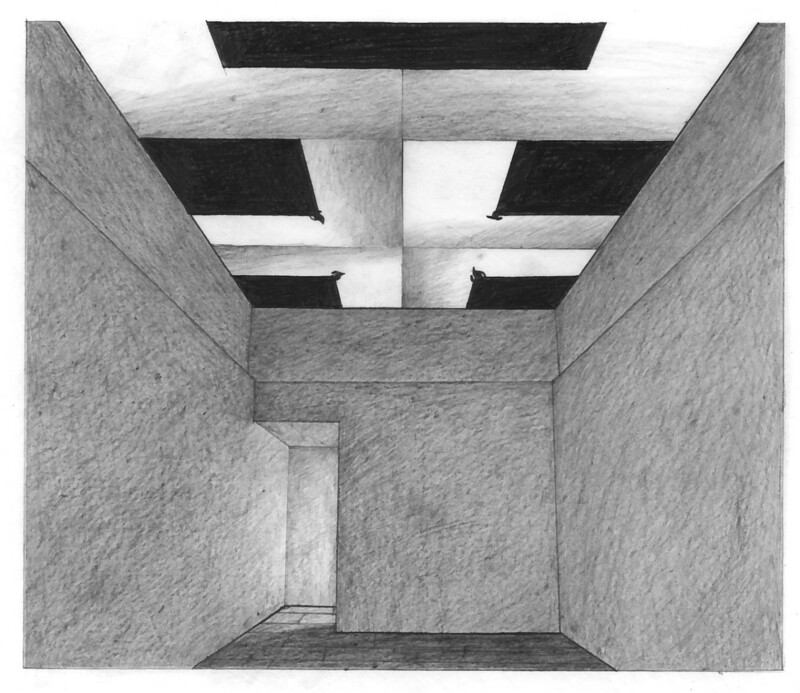 Visitors entered through these thresholds into anterooms protecting a darkened interior space. 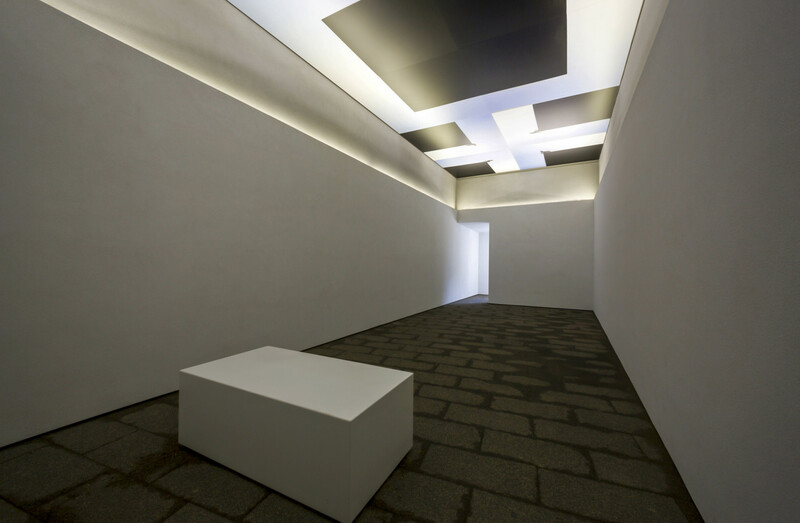 Inside, the environment was tranquil, up-lit along an inner shelf that softly illuminated the art above: photographs of birds perched in an exceptional position—peering down as a potential predator approached from underneath. 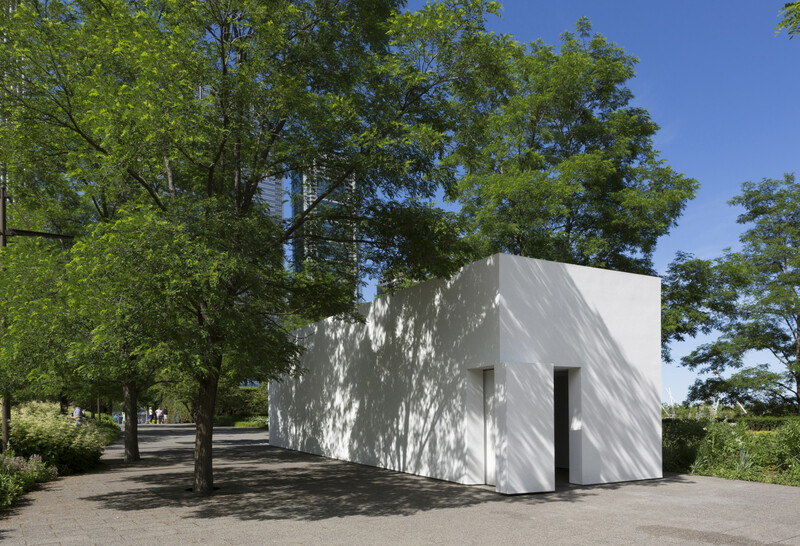 The primary challenges were to secure the structure without any physical connections between the pavilion and the site and to allow ample air circulation in the windowless space. 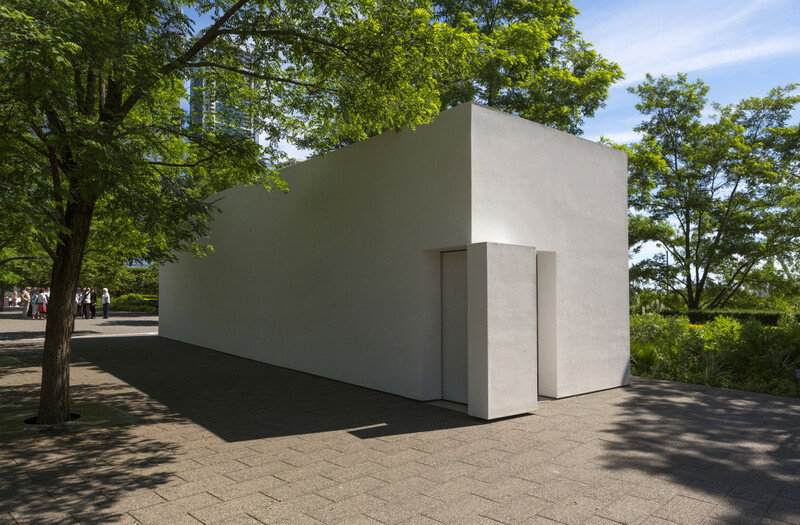 To address code required maximum uplift and lateral wind loads, the 13’-6” x 48’-0”x 13’6” high structure was constructed in light gauge metal framing with a ballasted roof of white river rock (recycled during removal). 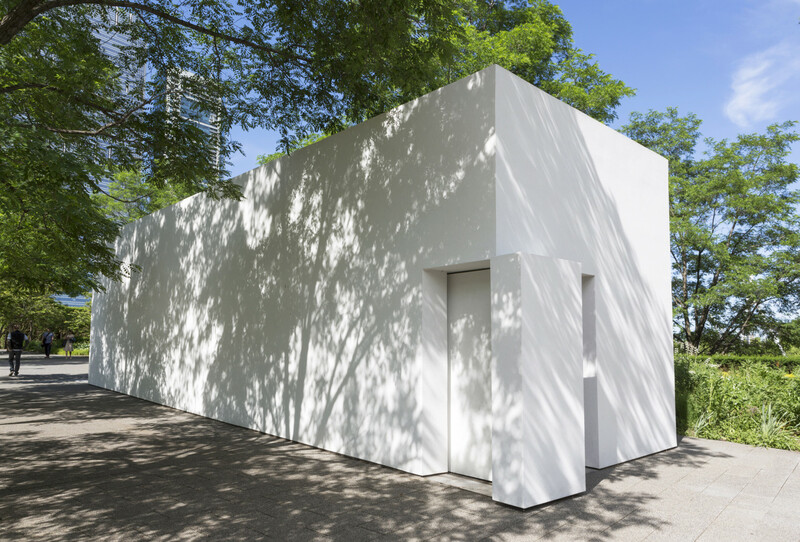 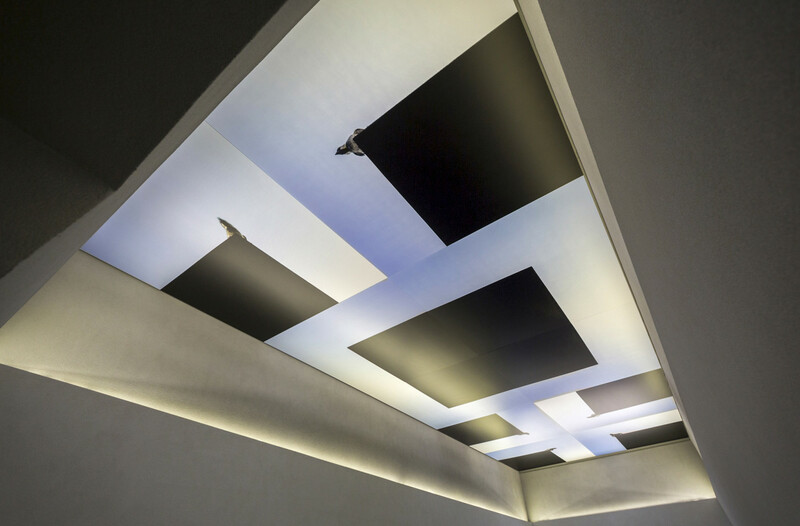 The open-air pavilion was insulated and naturally ventilated via mechanical assist fans drawing fresh air through the open doors and expelling heat out through concealed slots in the lighting coves. 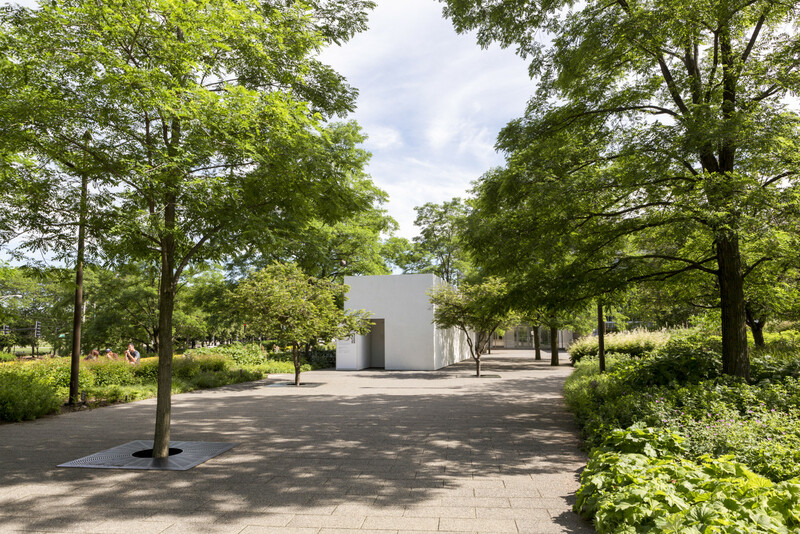 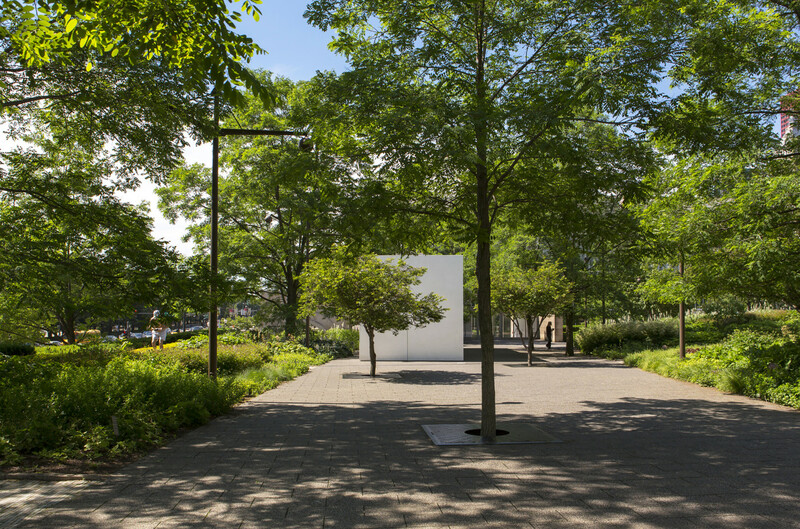 The raised pavilion, in its simplicity and clarity, provided a unique opportunity to celebrate a singular merging of art and architecture.